Don’t make the mistake of putting your employees in generic uniforms. 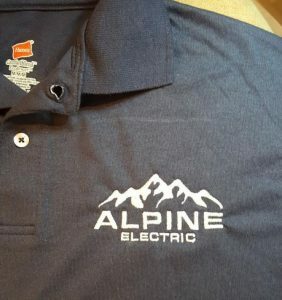 Custom embroider your logo on a polo shirt or button-down, and your employees will be generating interest in your business just by walking around. The more your customers see your logo, the more they’ll recognize your brand, and the more they’ll subconsciously associate it with excellence. As a business owner, it pays to put your logo in your customer’s sight line as often as you possibly can. Custom-embroidered apparel makes your employees feel like they’re part of a community, which will be reflected in their motivation and work ethic. Employees wearing custom-embroidered, branded apparel are more likely to feel like they are representing your business every time they wear their uniforms, and are consequently more likely to behave with the utmost professionalism. If you’ve decided to invest in custom embroidery for your business, Barb’s Custom Embroidery is a great place to find what you need. Barb’s supplies embroidered jackets, sweatshirts, hoodies, polo shirts and more to companies in Oregon and beyond. Our prices are affordable, and our technique is exceptional. Call Barb’s Custom Embroidery at 541-601-0594 to get started and give your business maximum exposure!